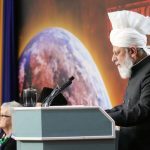 At Canada’s first Annual Peace Symposium, His Holiness speaks of the obligations that Muslims have to maintain peace in their communities and their obligations to protect freedom of conscience for all. 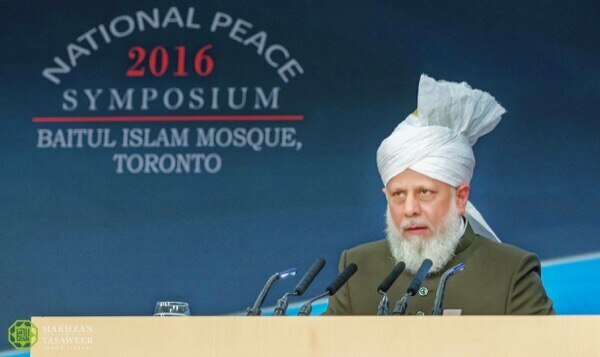 On 22nd October 2016, the Worldwide Head of the Ahmadiyya Muslim Community, the Fifth Khalifah (Caliph), His Holiness, Hazrat Mirza Masroor Ahmadaba, delivered the keynote address at the 1st National Peace Symposium hosted by the Ahmadiyya Muslim Community Canada. The event was held at the Baitul Islam Mosque in Peace Village, Vaughan, with an audience of over 600 people, including government officials such as the Mayor of Vaughan, the Hon. Maurizio Bevilacqua; Member of Parliament, Deb Schulte; and City Councillor, Marilyn Iafrate. 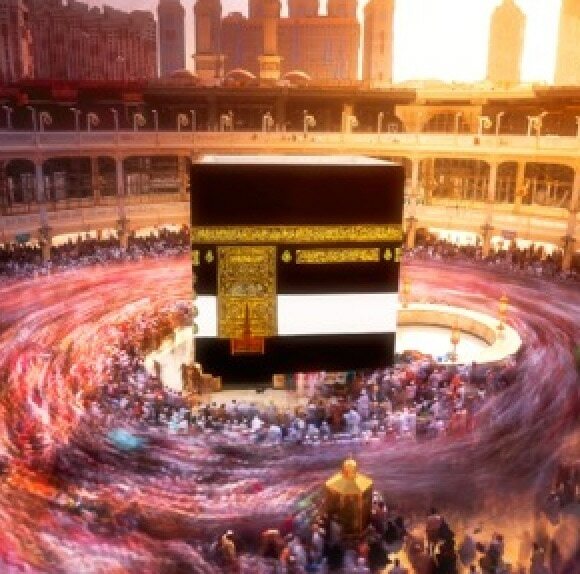 “Bismillahir Rahmanir Raheem – in the Name of Allah, the Gracious, Ever-Merciful. First of all, I would like to take this opportunity to thank all of you for kindly accepting our invitation. 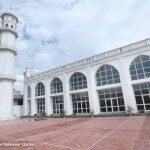 Within Islam, the Ahmadiyya Muslim Community is that sect which was established in accordance with the prophecy made by the Founder of Islam, the Holy Prophet Muhammadsa over 1400 years ago. 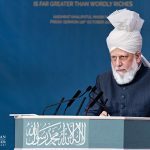 In this respect, the Ahmadiyya Muslim Community is unique because, though the Holy Prophetsa prophesied that Muslims would split and divide, he did not mention any other sect directly. 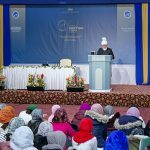 In his prophecy, the Holy Prophetsa foretold of a time when the majority of Muslims would have forgotten the true teachings of Islam and their acts would not be in accordance with their religion. Alongside this, the Holy Prophetsa also gave the glad tiding that, at a time of such spiritual decline, Allah the Almighty would send a person as the Promised Messiah and Imam Mahdi (the Guided One). He who would enlighten the entire world with the true and peaceful teachings of Islam. And we, Ahmadi Muslims, believe the Founder of our Community to be the Promised Messiah and Mahdi who was sent according to the prophecies of the Holy Prophet of Islamsa. 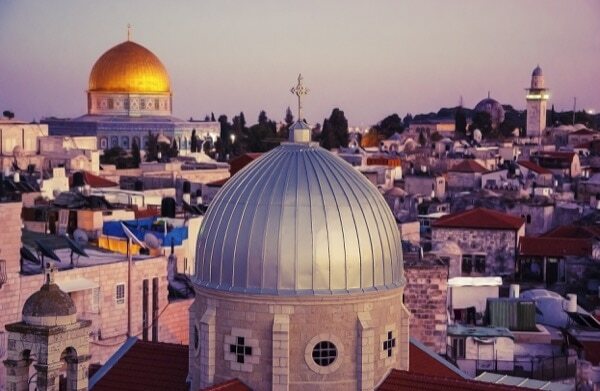 During his life, the Promised Messiahas shined an eternal light upon Islam’s true teachings and informed the world of what Islam truly represents. Hence, the first point I wish to make clear is that the Ahmadiyya Muslim Community should not be considered a “liberal” or “reformist” sect of Islam. Rather, we are following the original teachings of Islam, as prescribed by the Holy Qur’an and the Holy Prophet Muhammadsa. Those noble teachings can be summed up in just two lines – to love your Creator and fulfil His rights and to love His Creation and to fulfil their rights. Thus, Muslims are taught to show love, compassion and kindness to all of God’s Creation, especially to humanity, which Allah has deemed as the best of Creation. 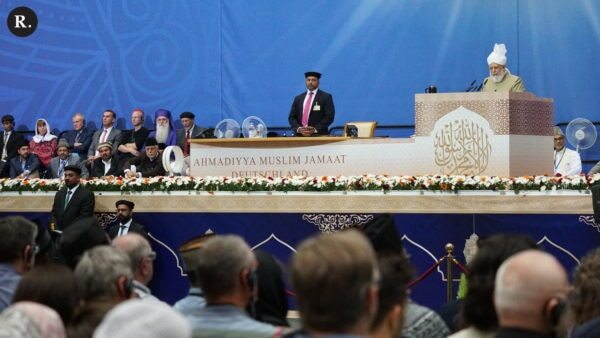 It is absolutely true that we, Ahmadi Muslims, are peace-loving and seek to build bridges of love and hope between different religions and different communities. However, this is not because we have deviated from Islam or modernised it in any shape or form. Rather, it is because we follow Islam’s authentic teachings. Hence, the very first words and verses of the Qur’an make it crystal clear that it is not only Muslims who benefit from Allah, Who is the Gracious and Merciful. As the Lord of all mankind, He is not only the Provider and Sustainer of Muslims, but also of Christians, Jews, Hindus, Sikhs and the people of all other faiths and beliefs. He is even the Sustainer of those who deny His existence. Therefore, according to the laws of nature, Allah the Almighty has provided the means and sustenance for the survival of all mankind. This is a general lesson for all Muslims that shows them that they cannot claim that God Almighty is only for them, but He is for all of humanity and indeed for all forms of Creation. Furthermore, in chapter 21, verse 108, of the Holy Qur’an, Allah the Almighty has deemed the Founder of Islam, the Holy Prophet Muhammadsa to be a ‘mercy for all mankind’. He was sent to this world by God, not only as a source of love, compassion and sympathy for Muslims, but also for all people, of all faiths and beliefs. In summary, these introductory verses of the Qur’an prove that no person and no nation can claim any form of monopoly over God Almighty, because He is the Lord of all mankind. Furthermore, He is “Gracious and Ever Merciful” and He sent the Holy Prophet Muhammadsa as a fountain of peace, compassion and love for all people, no matter their caste, creed or colour. When these are the basic principles of Islam, how then could it be possible for true Muslims to engage in oppression, injustice or cruelty towards God’s creation? Surely, it is inconceivable for a sincere Muslim to wish others harm or to hold any form of ill-intent towards them. It is due to these pious teachings that the Ahmadiyya Muslim Community proclaims its message of ‘love for all’ across the globe. It is because of these teachings that Ahmadi Muslims do not bear enmity or hatred towards anyone. Indeed, the Founder of Islamsa laid down the foundations for peace in just one sentence. His words were as magnificent as they were simple. He said that we should love for others what we love for ourselves. We should desire for others what we desire for ourselves. The question is, what do we want from our lives? Do we desire hardship and grief? Do we desire injustice? Do we want to be treated in a cruel and heartless fashion? Do we have ambitions to be mired in poverty and to go to bed hungry every night? Do we want our children to be plagued by ill-health, to be uneducated and to be placed in danger? Of course, no normal person would ever hope for any of these things. Therefore, as Muslims, we must seek prosperity not only for ourselves but also for others. We must open our hearts to humanity. We should consider the pain of others as though it is our own pain and grief. It is the duty of a Muslim to fulfil the rights of other people, irrespective of their beliefs or background, and to wish them well, to care for them and to help them in their times of need. Of course, sometimes circumstances arise which cause people to argue or quarrel. Human nature is such that it is impossible for people to agree on everything and so disagreements will occur from time to time, but the key is to solve those disputes with justice and fairness, rather than to prioritise one’s own interests above others. To bring any conflict to an end, justice is a pre-requisite. If a person is not fair and ethical then whatever grievance or problem exists will only escalate. Rather than peace, all that will be achieved will be increasing hatred and contempt. Thus, at many places in the Holy Qur’an, Allah the Almighty has commanded Muslims about being just and treating others in the best way. 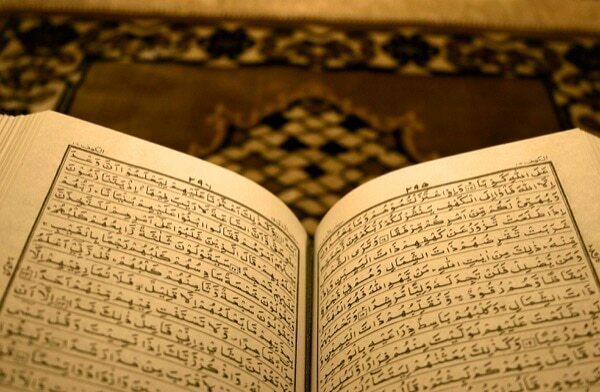 In chapter 4, verse 136 the Holy Qur’an demands the very highest possible standards of justice. It requires that a Muslim should be willing to forgo all of their personal interests for the sake of the truth. Muslims are commanded to put aside their own desires or personal relationships and to be witnesses for the sake of Allah the Almighty. This verse instructs that a person must even be willing to testify against himself, his parents and his loved ones in order to establish justice. Islam teaches that a Muslim’s first loyalty must always be to the truth and so a person must never hide the facts or give false testimony. A person should not be governed by his own personal desires, as this leads to bias and prejudice and takes a person away from what is fair and what is right. This enlightened principle is the means to solve the problems of the world and to transform all forms of hatred into peace, tolerance and mutual respect. Furthermore, in chapter 16, verse 91 of the Holy Qur’an, Allah directs Muslims to not only speak the truth and to be just, but also to favour others. Yet even this is not the limit of the Qur’an’s teachings because when a person bestows a favour on others, there remains the possibility that he will seek something in return, or will remind the person of the benefit he has conferred upon them. Therefore, the Qur’an says that a person should “give like kindred.” This means that a Muslim should treat others as though he would treat his close family members and loved ones. It means that a person should offer sympathy and compassion and be willing to serve others without any expectation, just as a mother serves and selflessly nourishes her child without any desire for reward or recompense. This is the altruistic and benevolent spirit that Islam advocates and teaches, wherein it calls on Muslims to open their hearts for the good of mankind. If acted upon, this golden principle will knock down the walls of hatred that have been erected all around us. It will shatter the barriers that divide mankind. It is the key to peace at a personal level, within the wider society and at an international level. Regrettably, throughout history conflicts have arisen between nations and this sorrowful trend continues today. In terms of dealing with such issues, in chapter 5, verse 9, the Holy Qur’an has laid down an everlasting principle of nobility and tolerance. It says that even where enmity or hatred exists, it must never lead to injustice or a desire for revenge. Rather, it states that justice is the blessed path that leads to righteousness and to the nearness of Allah the Almighty. In chapter 8, verse 62, the Holy Qur’an states that it is the duty of a Muslim to forever endeavour for peace and to never forsake any opportunity in this cause. In this verse, the Qur’an states that following a war or conflict, if your opponent seeks reconcilement, then you must grasp that opportunity with both hands. In the very next verse, the Qur’an states that even if you have suspicions that your adversary is not genuine and that he may be trying to deceive you, still you should pursue that opportunity for peace and put your trust in Allah. Hence, wherever and whenever, there is even a glimmer of hope and even the tiniest possibility of peace, Muslims are told to pursue that chance with complete determination and without fear. They must never seek excuses or reasons to stray from the pathway to peace. These are the teachings of Islam and this was the blessed practice of the Holy Prophet Muhammadsa. History bears witness to the fact that he stands alone as the unrivalled standard-bearer for peace in the world. If any person looks at the period of early Islam through a lens of justice and with objectivity they will see for themselves that the wars fought in the life of the Holy Prophetsa and his four Rightly Guided Successors were defensive in nature and were never initiated by the Muslims. Despite the horrific cruelties and merciless persecution inflicted by the opponents of Islam, the Holy Prophetsa was ever ready to accept the hand of peace and to seek reconciliation. In chapter 47, verse 5, the Qur’an has established another important principle for conflict resolution. It states that following the successful conclusion of a war, the victor must manifest grace and it is better to free prisoners of war. Such prisoners should be released either as a favour or in return for a modest sum. Yet in today’s world, we see how prisoners of war are kept in the most inhumane conditions for years on end, with little or no recourse to justice or freedom. In complete contrast, after the Battle of Badr, which was a very significant war in which the non-Muslims of Makkah had sought to end Islam once and for all, the Holy Prophet of Islamsa showed absolute benevolence and mercy. Instead of seeking revenge, the punishment he carried out was itself an outstanding example of building bridges between opposing parties and set an inspirational precedent for times to come. Rather than torturing or enslaving the prisoners of war, the Holy Prophetsa instructed those prisoners who could read and write to educate the Muslims who were illiterate. Thus, education was literally their means to freedom. It was an incomparable example of how, even from amongst a state of bitter war and conflict, some good could ultimately be retrieved. Those who had themselves shown no mercy towards the Muslims, were treated with compassion and consideration and utilised as teachers. This example exhibited two beautiful aspects to the character of the Holy Prophet Muhammadsa. On the one hand, he was neither vengeful nor bitter towards those who had persecuted him and his followers. Secondly, it proved how highly he valued education and learning. He desired for people to better themselves and to progress in all spheres of their lives and education was the key to this. No worldly person would think in this way and most certainly the Holy Prophetsa stands alone in his wisdom and grace. Today, due to the hateful acts of certain Muslims, Islam is widely considered to be an intolerant and extremist religion. However, nothing could be further from the truth. Islam is that religion which has enshrined within its teachings the principles of freedom of belief and freedom of conscience. Islam categorically states that there is no compulsion in religion and that belief is a matter of one’s own heart and mind. It is true that the early Muslims did engage in some wars, but they were never fought with the intention of conquering land or territory. Nor were they fought so that non-Muslims could be forced into accepting Islam. Rather, they were conducted as a means of establishing freedom of faith as an everlasting and universal principle. The Qur’an is very clear about this. The first time the Muslims were granted permission to engage in such a defensive war was given in chapter 22, verses 40 to 41 of the Holy Qur’an. In these verses, Allah the Almighty stated that permission to fight was granted because the Muslims were being attacked by people who sought not only the destruction of Islam, but who sought to finish and eliminate the institution of religion itself. The Qur’an says that if the Muslims were not permitted to fight back then no church, synagogue, temple, mosque or the place of worship of any religion would remain safe. Hence, when the Holy Prophet of Islamsa and his followers took part in wars and battles it was for the sake of defending the right of all people to worship as they pleased. We live in a time when it is often alleged that Islam seeks to deny others their rights, but the complete opposite is true. Islam is that religion, and that teaching, which has taken up that mantle of defending and protecting every religion and all people. Islam teaches its followers to protect all places of worship—not just mosques. Islam is the defender of Christians and Jews. It is the defender of Hindus and Sikhs and it is the defender of the people of all other faiths and beliefs. 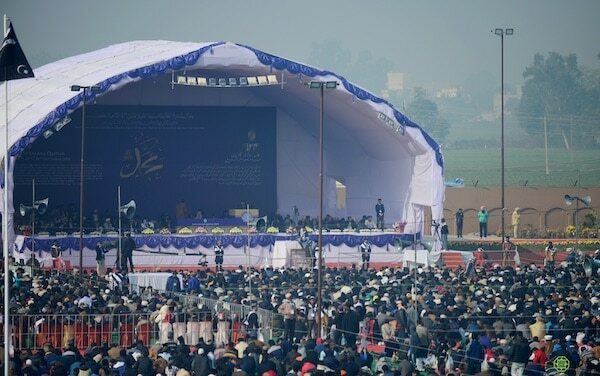 These are the unique and unparalleled standards of Islam, wherein the early Muslims gave their lives in order to protect the institution of religion and to guarantee the principle of freedom of belief. Another injunction of Islam is given in chapter 20, verse 132, where it states that no person or nation should cast envious looks at the wealth or resources of others. No one should covet what is not rightfully theirs. Yet, in today’s world it is jealousy, a desire to dominate others and to unjustly benefit from their wealth that underpins the wars and conflicts that are taking place. Indisputably, such self-interest and greed has been the downfall of mankind and has led to world’s peace being undermined time and time again. For example, some governments completely ignore the human rights abuses taking place in countries, because they wish to have access to the oil or natural resources of those nations. However, members of the public are not blind, deaf or dumb. They can see that such policies are not based on justice and naturally this leads to frustration and anger. Their hatred is not limited to their own leaders, but also extends to those foreign powers who are motivated only by their greed and not by any concern for the well-being of others. Hence, nations must be fair in their dealings and should not be governed by narrow self-interest, but rather by what is right, what is just and what is in the interest of the world at large. If Islam’s true teachings are sincerely followed, they will prevent grievances or disputes from ever developing. 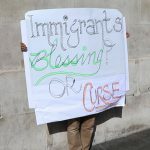 However, the majority of Muslims today are not following the noble teachings of their religion and that is why their countries are spiralling out of all control. It is a cause of deep regret, that despite the fact that Muslims have been directly bestowed with teachings that are the guarantors of peace between people and between nations, it is Muslims themselves who are betraying their own values more than all others. Where Islam teaches justice, kindness, and generosity, all we see in the Muslim world is injustice, hatred and greed. However, it cannot be said that only the Muslims are to blame for the uncertainty and disorder that we see in the world. In fact, the world’s major powers have also been guilty of adopting unjust policies that have added fuel to the fire and increased instability. Rather than working for peace, the major powers are prioritising their own self-interests and even profiting from these conflicts. For example, some of the major powers are selling weapons to Muslim governments, whilst others are providing weapons to rebel forces. Furthermore, weapons produced in the West have ended up in the hands of terrorist groups. Thus, these conflicts are being fuelled from the outside. What I have said is nothing new but has long been in the public domain. Also of the deepest concern is the fact that opposing blocs and alliances are rapidly forming amongst the major powers. The influence of such countries is far greater than less developed nations and so the formation of rival blocs amongst the major powers is extremely dangerous for the future of the world. We must urgently address such issues, because otherwise we are charging madly towards a catastrophic and devastating world war. The consequences of such a war do not bear thinking about. The misery, horror and destruction could last for generations to come. Therefore, we can only hope and pray that Allah the Almighty grants wisdom and sense to humanity. May every nation, and every person, come to fulfil the rights of others and may justice prevail over all forms of injustice. I pray that all people come to recognise their Creator and the fact that God Almighty is the Sustainer and Provider for all of mankind and that He is the Gracious, the Merciful and that He desires for the people of all races and beliefs to live in this world as one, and for mankind to be united in peace and harmony.